The Chilean poet-politician Pablo Neruda was a self-described ‘thing-ist’, who has inspired me ever since I wandered through the eccentric treasure-trove of his home in Santiago. 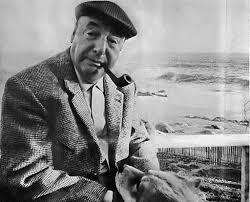 Neruda was a passionate socialist andan erudite collector of curious objects – carved pipes, grotesque African masks, ships in bottles, whales’ teeth. ‘In my house I have put together a collection of small and large toys I can’t live without,’ he wrote in Memoirs (1974). He wisely understood that ‘the man who doesn’t play has lost forever the child who lived in him and he will certainly miss him’. For Neruda, children figured as materialistic in the purest and most playful sense, delighting in textures, noises, colours, the taste of a rattle, the subversive shock of a magic trick.